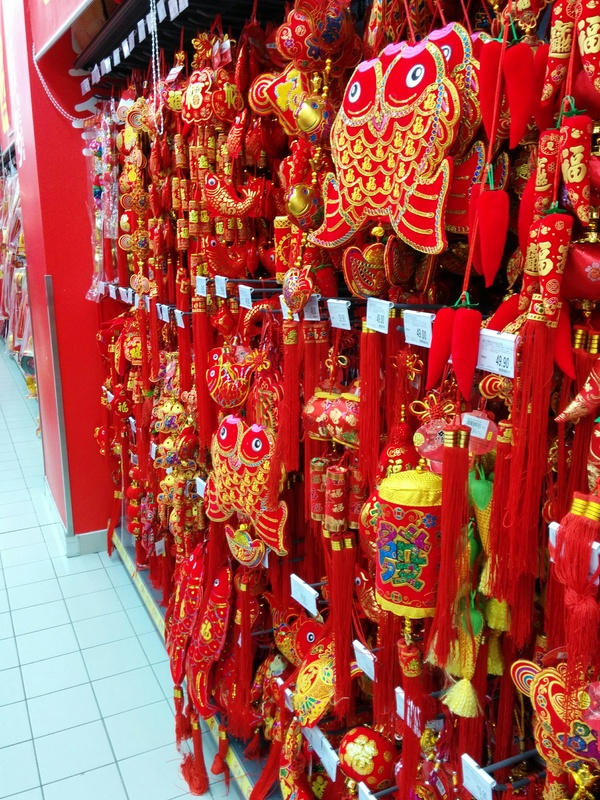 It’s fascinating to observe how China prepares for their biggest holiday, Lunar New Year. At a time when U.S. retailers have started putting Christmas stuff out in July (seriously? ), it’s almost refreshing to see the first signs of New Year’s only about four or five weeks before the big day. Such restraint! 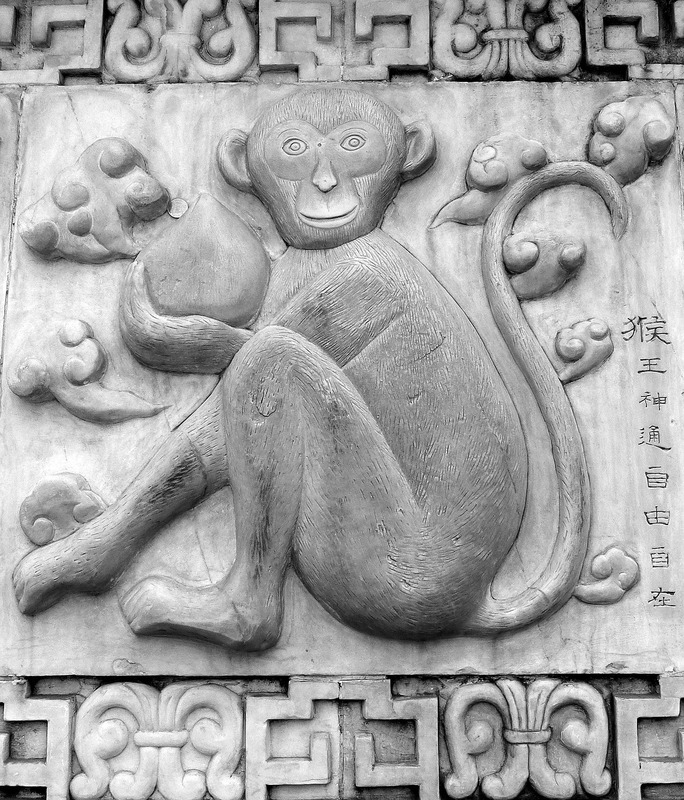 The Monkey King, holding one of the heavenly peaches that got him into a boatload of trouble. 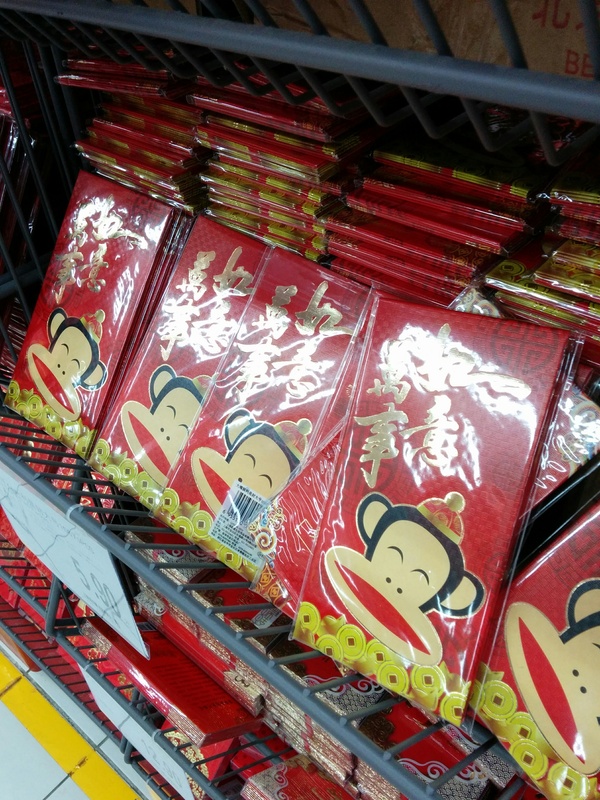 2016 will be Year of the Monkey. Whether it’s good or bad to be a monkey, I’m sure there will be monkeys EVERYWHERE over the next couple months. We were at the supermarket today and saw the first signs of our primate friends. I snuck a few photos. Julius, a.k.a. the Paul Frank monkey. Julius is quite popular in China, probably more so than he currently is in any other country. At the store today, we saw his face adorning hong bao and door decorations, and I’m sure we’ll be seeing a lot more of him in the weeks to come. International brands tend to milk Chun Jie for all it’s worth. So far, I have only seen Lay’s get in on the action. 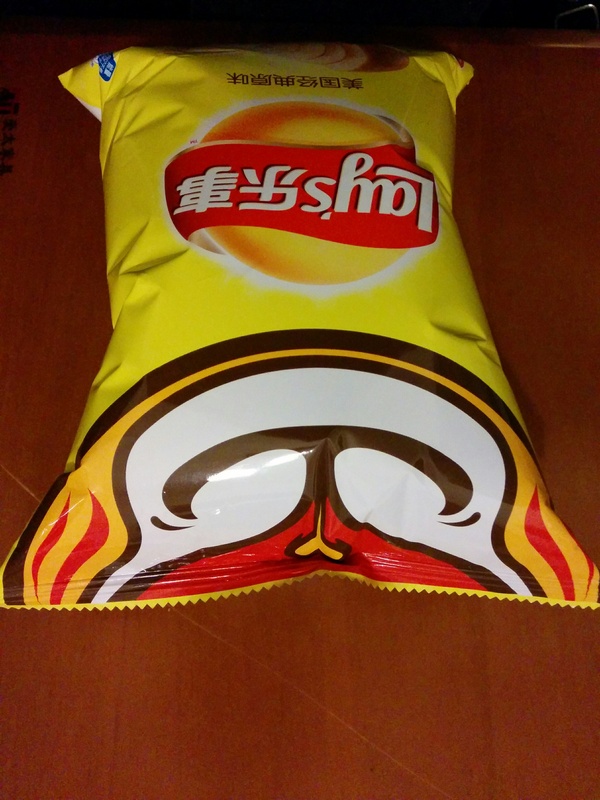 They’ve got a different monkey half-face decorating the different flavors of chips. Here’s a very cool, cartoony, Monkey-King-esque guy on the “Classic American” flavor. Julius wasn’t on any of the flavors. Lay’s probably has some weird hang-up about “copyright violations” or something. There were various stuffed monkeys in a variety of colors, some tame, some obnoxious. My daughter was already asking if we could buy a few. Oops, no photos of those. Didn’t want to encourage her. 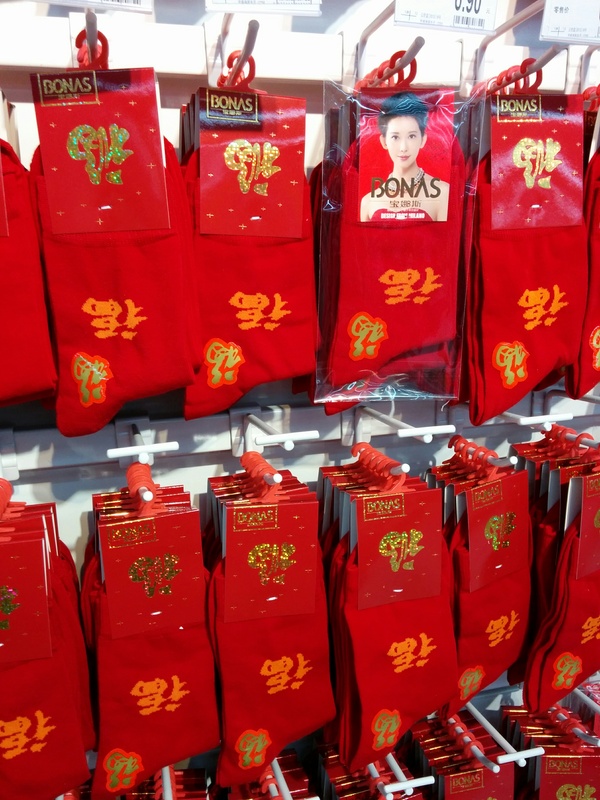 And of course, lots of red, red, red with traditional fish and “blessing” on everything, including socks. That never changes, no matter what animal is coming up. I’d better get crackin’, though. There’s only 37 shopping days left ’til Chun Jie. I was hoping for Curious George! so much sweeter. We saw Monchichi today, so maybe Curious George will be somewhere!